Most women would agree that shaving, waxing and tweezing are activities that belong on the “no fun” list. Of course, that doesn’t mean that we wish to avoid participating in them altogehter. In fact, shaving, waxing and tweezing are generally parts of the daily lives of women. So, if we hate them much, why do we even bother? Well, I suppose we hate the alternative even more. Removing hair from our arms, underarms and legs among other areas is common in today’s society because the smooth and silky look is considered attractive. And don’t think it’s just because we want to please the guys. Women enjoy the hairless look as much as anyone else. It suggests a cleaner and healthier lifestyle that is also very alluring and sophisticated. But avoiding rashes, razor bumps, ingrown hairs and other forms of skin irritation are ramifications of hair removal processes that no one likes. Laser Hair Removal has provided quite the solution to the above mentioned problems, but hasn’t been taken too seriously by the majority of women I know. For the most part, it’s because they are not fully educated on how it works. Just ask and you shall receive, Jessica! I decided to take a look online to find some laser hair removal videos. Considering that just about everything is on YouTube these days, my search didn’t take me very long. 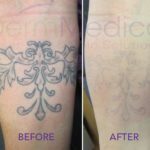 In fact, there is a very concise and informative laser hair removal video shot by DermMedica that takes no more than one minute to demonstrate how quick and easy a laser hair removal treatment can be. In the video, step one of the treatment shows a patient lying down comfortably while wearing protective eyewear. Any of Jessica’s concerns about “laser damage” to the eyes, at least, can be put to rest here. But then again, how does that prove that the laser doesn’t hurt when applied to the skin? That’s where step two comes in. A cooling gel is applied to the treated area to protect the skin and minimize discomfort. Step three shows the laser being calibrated and readied for treatment. Step four shows the laser hair removal treatment being performed. Watching this video, Jessica admitted how surprised she was at how quick and easy the procedure appeared. And best of all, it was shown to be a completely painless process. “That’s more than I can say about shaving, waxing and tweezing,” she remarked! If you have any questions or concerns about laser hair removal, perhaps you’ll need more than a YouTube video. 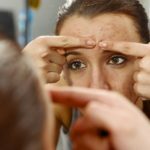 Be sure to give a call to a licensed physician or skin care specialist who can give you some more information about the procedure. One thing is for sure though. Laser hair removal is nothing like the weapons used by bad guys in cartoons for kids!